A lot of controversies followed the early period of this month. 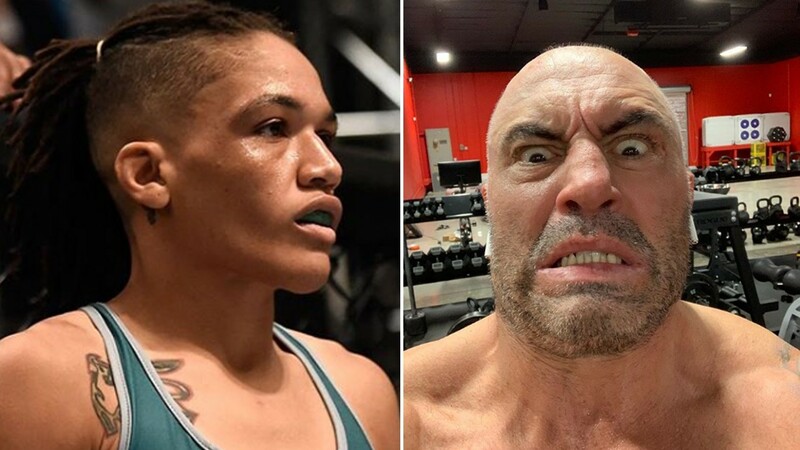 UFC Flyweight title shot between Valentina Shevchenko and Sijara Eubanks was slated to headline UFC 230! Many MMA lovers weren’t happy due to this decision. Twitter reactions were mostly negative. UFC switched the things up. The UFC Heavyweight title match between Derrick Lewis and Daniel Cormier will headline UFC 230. But Sijara Eubanks didn’t even compete under main card. She will collide Roxanne Modafferi at the preliminary card. There is a chance “Sarj” could fight for a title if she defeats Modafferi. Eubanks was set to fight for UFC Flyweight belt earlier but she was pulled out from the match against Nicco Montano. The reason was failed weight cut. What are your thoughts on this? Do you believe Joe Rogan did this intentionally? After all, he could at least comment something or reply to her. It looks like he rather sticks to Dana White’s strategy against Nate Diaz. Next articleUFC Got An Offer To Trade Demetrious Johnson For Ben Askren! So she’s mad that the dude didn’t remember her…Seems like an intelligent, well rounded individual.